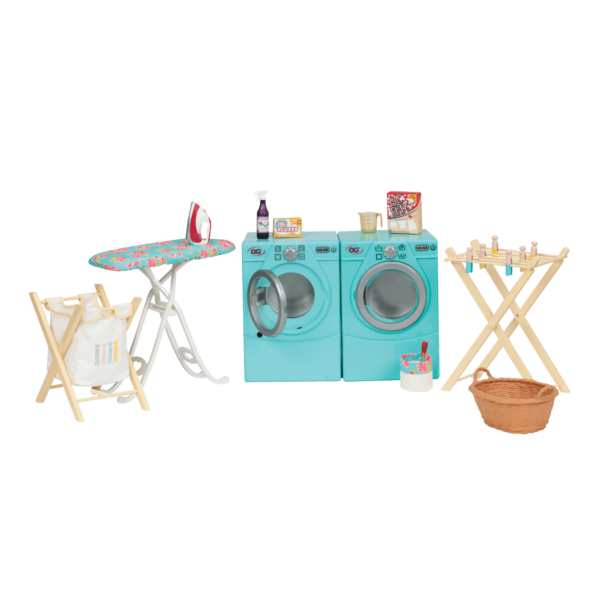 https://s3-ca-central-1.amazonaws.com/media.ogdolls/20190329192607/BD37158A-Tumble-and-Spin-Laundry-Set-MAIN.png Category: House and Home. Take your 18-inch doll's laundry for a spin with this laundry accessory set! Be clean, pressed and ready to impress with all the latest to keep clothes their greatest. What tumbles but doesn’t fall, and what spins but never gets dizzy? 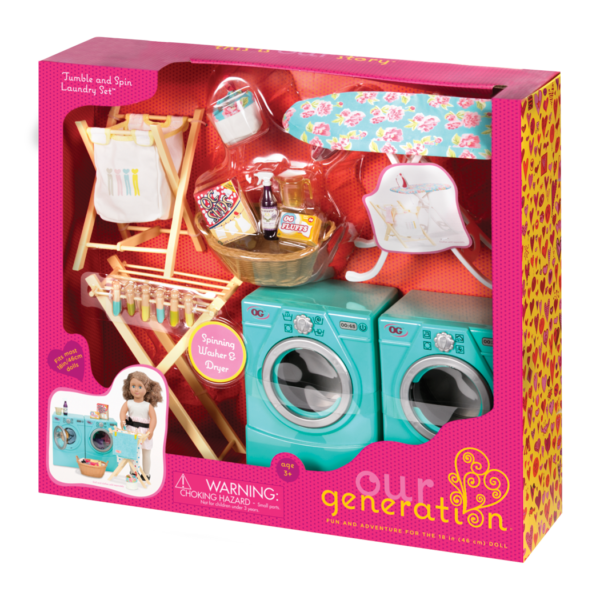 It’s the Our Generation Tumble and Spin Laundry Set for 18-inch dolls, of course! 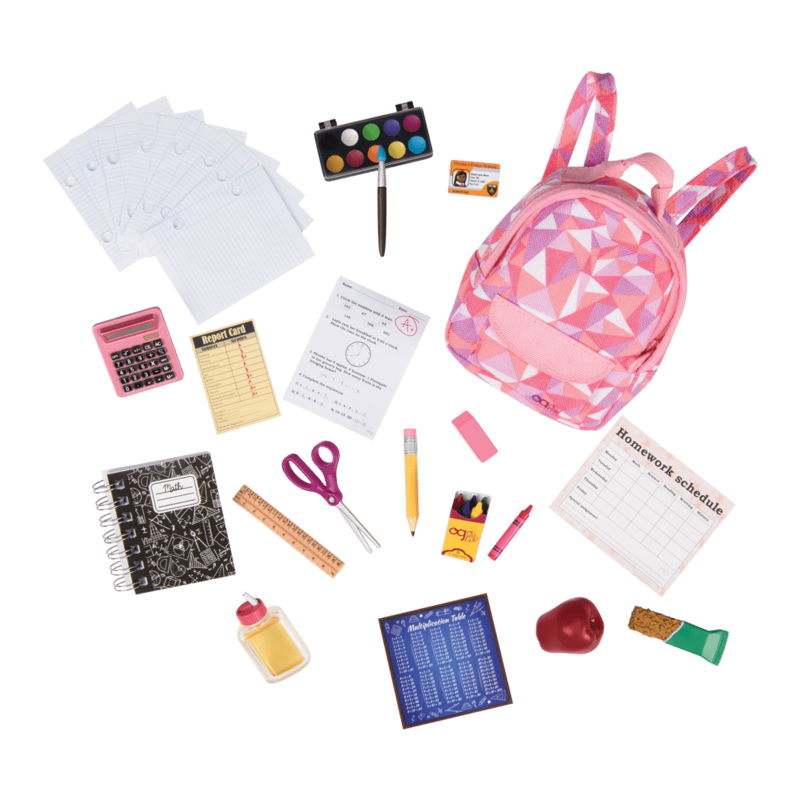 This laundry accessory set has everything your dolls need to keep their doll clothes their best! Because we are an extraordinary generation, us girls. 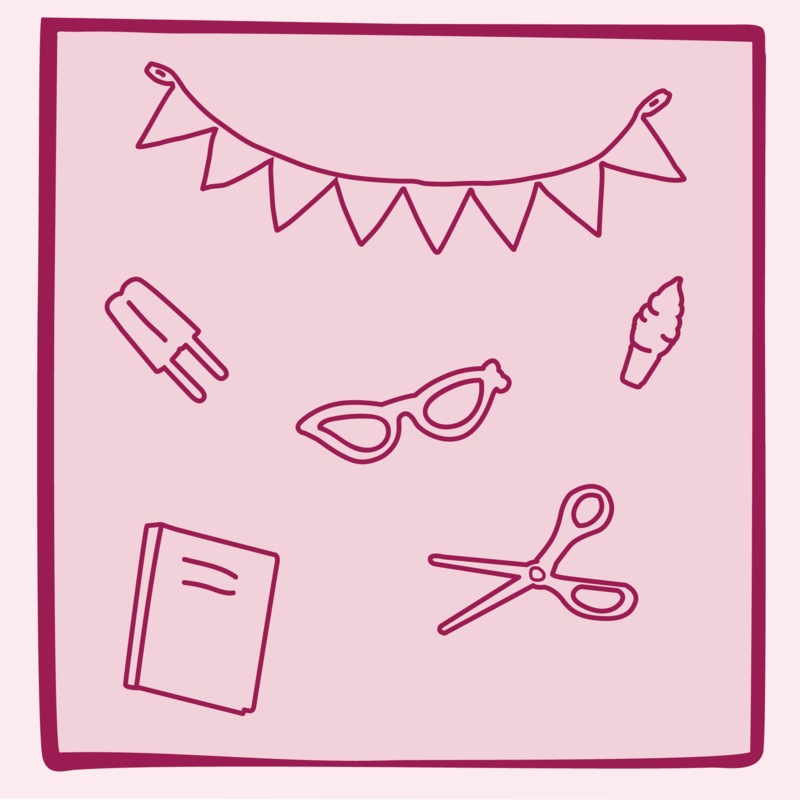 We’re sisters, cousins and best friends who are collecting clothes for kids who need them, helping our families conserve water, even performing mind-blowing science experiments. We’re doing it all, and yet somehow we still find time to keep up with the latest fashions and laugh with each other until we’re gasping for air. (Even if sometimes we can’t remember what we’re laughing about.) This is our time. This is our story. Fun Household Accessories for 18-inch Dolls! With these fun accessories, laundry isn’t even a “chore” anymore! This laundry accessory set has everything your dolls need to keep their doll clothes clean, pressed, and ready to impress! Gather your laundry in the clothes hamper. Put it in the washer, wind it up, and watch your laundry spin! Once it’s all clean, put your clean clothes in the dryer for a tumble, or hang them on the clothes rack. Got wrinkles? No problem! The handy iron and ironing board will get them pressed away in a flash! This lifelike set works well in doll houses or on its own. 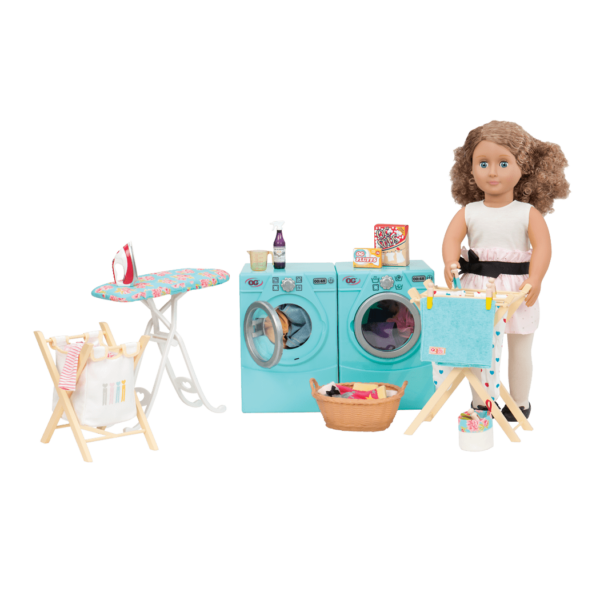 With such a cool washer and dryer set for your dolls, they will need lots of clothes to wash and iron! Dress your favorite Our Generation dolls in any one of the great outfits for 18-inch dolls featured on our website! There are so many great looks to choose from, the biggest problem is deciding on only one! 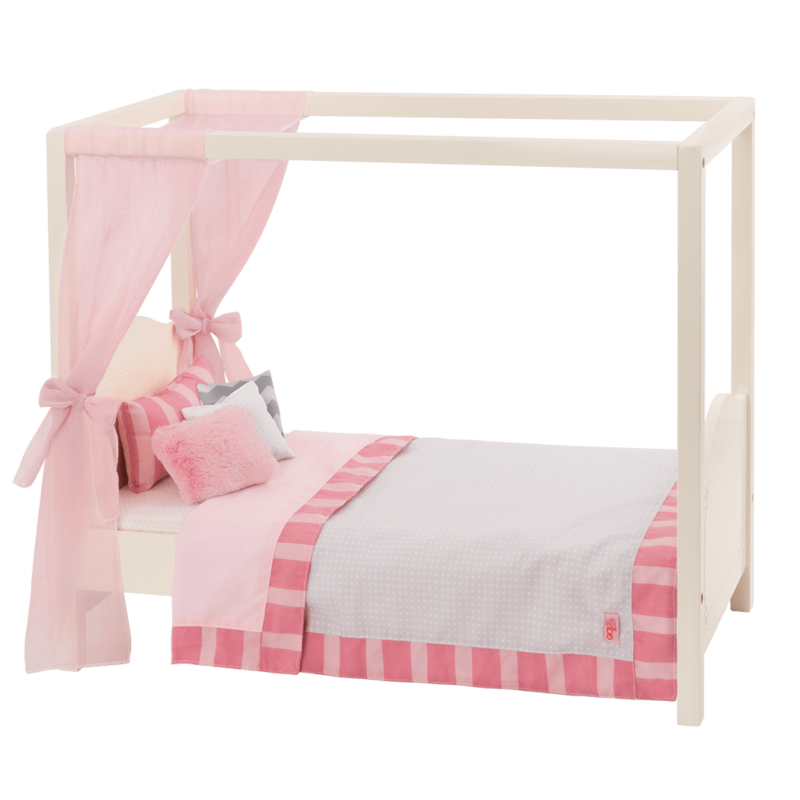 Do your dolls love playing in their very own doll-sized home? Check out the other home accessories for 18-inch dolls, like the Gourmet Kitchen Set, a fully-stocked kitchen with all the essentials to cook up a dream! What about a cozy fireplace? The Holiday Celebration Set has a cozy fireplace and a miniature Christmas tree, perfect for creating a cozy home for your dolls! Wind them up to watch your doll's laundry spin! 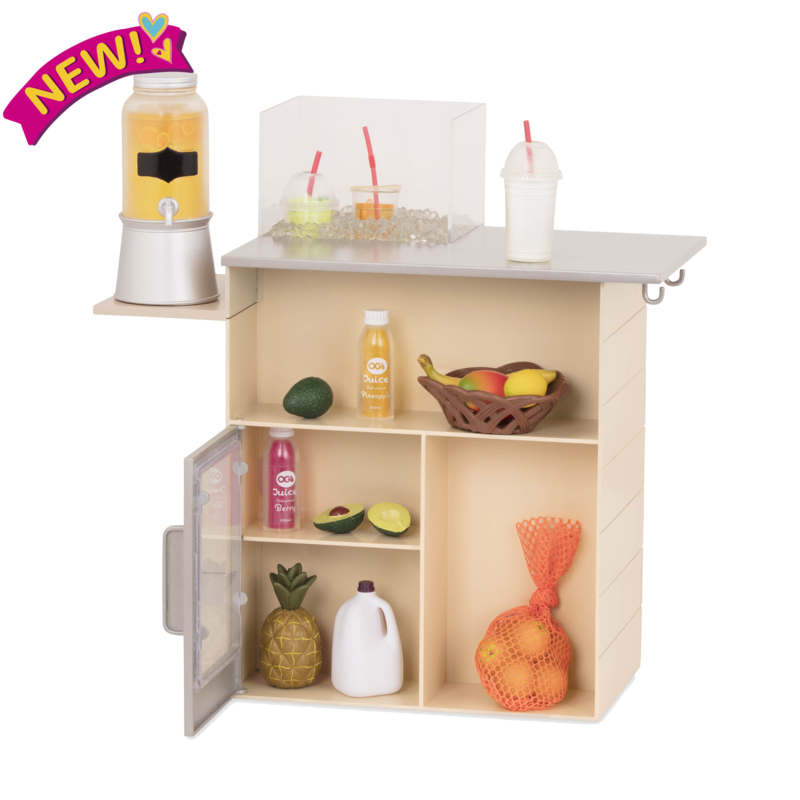 Includes doll washer, dryer, laundry hamper, drying rack, ironing board, and more! The doll in the pictures is Kaylee. Please note:There is no need to wind them up again until the first "spin cycle" is finished and the washer or dryer stop spinning. On the back of both the washer and the dryer you will find a wind-up dial. Wind-up the washer and dryer by turning the dial 4-5 times clockwise. This will prepare the spin mechanism. **Please be careful – if you wind up the machine too much, it can cause the spin mechanism to jam and the washer and dryer will get stuck! Once you have turned the wind-up dial 4-5 times, your washer and dryer are ready for a load of laundry! Add a few items to the machine, close the door, and use the dial on the front to start tumbling and spinning! 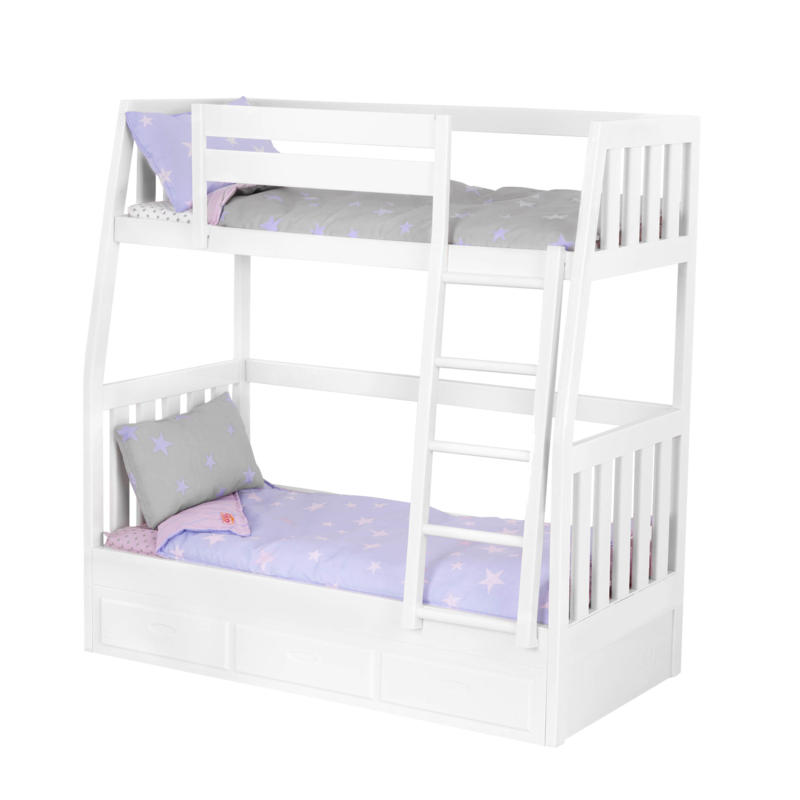 Please be careful not to place too many items in the washer or dryer at one time – the Tumble and Spin Laundry Set works best with 2-4 pieces of doll clothing inside. One laundry cycle will last approximately 30 seconds. When the spinning and tumbling stops, your laundry is done! Take out your doll clothes, hang them up in your doll's wardrobe, and start again! Wind up the washer and dryer with 4-5 more spins of the wind-up dial, put in your new batch of laundry, start the wash and dry cycle, and repeat! Uh-oh! Is your Tumble and Spin Laundry Set having problems? The most common issue with this playset is caused by too much winding up, which results in a jammed spin mechanism. If your Tumble and Spin Laundry Set isn't spinning anymore an adult can loosen the wind-up mechanism by gently but firmly knocking the toy against a hard surface like a countertop. Not too hard, please! We don't want your toy to break! If you have followed all the directions, wound-up the spin mechanism just the right number of times, turned the "On" dial on the front, and nothing is happening, please get in touch with us at battathelp.com and we will do our best to help you! Daughter loves it but they only spin when they are laying down she still plays with it but frustrating! Daughter opened this for Christmas and the dryer spin was broken. You can turn it, but it won’t start the “tumble” feature of the dryer. The washer works, but you have to push the knob to start it after winding. Daughter is so upset, it was the only thing that she wanted. So disappointed. Daughter had this for under 1 month and the dryer spin already doesn’t work. Unable to remove back to fix. Horrible disappointment for my daughter. We are sorry you’re having issues with your Tumble and Spin laundry set. Thank you for your comments and bringing this to our attention. Please get in touch with us at ogdolls@battatco.com and we will be happy to help you!